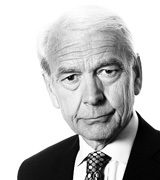 John Humphrys - Interest Rates Rise: Timely or Dangerous? August 06, 2018, 2:08 p.m. The Bank of England has raised interest rates for only the second time in nine years. The quarter percentage point increase to 0.75% still keeps rates far below what we had grown used to over the decades. But with households borrowing higher than at any time for thirty years, could the rate increase cause real financial hardship and risk economic recovery? On the other hand, is the increase so tiny that it’s unlikely to have any effect in getting us all to save more? And was the Bank right to move now or should it have waited to see whether the Brexit negotiations lead to a smooth departure from the EU or to a potentially highly disruptive ‘No deal’ outcome? It’s usual for the nine-member monetary policy committee of the Bank of England to split when they are voting on what rate of interest to set. This time, however, the decision was unanimous. This suggests that after nine years of, in effect, negative interest rates intended to keep the economy going after the financial crisis, the Bank is set on a course to keep raising rates. Some economists doubted whether the Bank would indeed raise rates after the bad growth figures for the first quarter of this year. But the Governor, Mark Carney, clearly sees those poor figures as having been a temporary blip. With wages finally starting to increase more than inflation and with unemployment at a forty-three year low, he believes now is the time to start getting interest rates back to something like normal. He said: ‘Employment is at a record high, there is very limited spare capacity, real wages are picking up and external price pressures are declining’. But at 0.75% the base interest rate is far below the historical average of 5. That’s what was thought to be necessary to encourage savings so that on rainy days people would have something to fall back on and also to provide the funds for investment and to keep inflation in check. Many economists are alarmed. They say the ultra-low rates of the last nine years might have been needed to help keep the economy moving after the financial crash but to persist with them could have dire consequences. For one thing, very low interest rates and masses of money sloshing round the economy have increased asset prices, most notably house prices. This has been great for those who already own houses or who are rich enough to borrow to buy additional property to rent out. But it has proved dreadful for young first time buyers or for the poor who have no assets at all. That’s why critics of low interest rates have wanted them to rise and for things to get back more to how they used to be. But the Bank has warned that we are a very long way from that and might indeed never get back there. Mr Carney told me in an interview on Friday that over the next three years or so, interest rates would be likely to climb back only to about 1.5% and that thereafter the ‘new normal’ for interest rates wouldn’t be anything like 5%, but more like 2.5% to 3%. Britain’s ageing population, our persistently very low productivity growth and major uncertainties about the future (notably whether Brexit will be managed smoothly or not) are the causes for this caution about rates rising far. But the Bank clearly thinks it’s got to start the upward movement in interest rates sometime and may, in part, have been motivated to do so now by figures it released on Monday about household borrowing. These showed that in June households borrowed £1.6bn in unsecured credit, taking the total of borrowing that is outstanding to a record £213.2bn. Credit card debt rose in the month by £600m, to £72.1bn, an annual rise of 9.5%. And consumer credit overall (including also overdrafts and car finance) is increasing at 8.8% a year. The Office for National Statistics recently reported that on average households are spending £900 a year more than their income. The savings ratio has dropped to 4.1%, the lowest rate for fifty years, and households are borrowing more than they are saving for the first time since 1988. The worry is, however, that rising interest rates, even on this modest scale, could hit households badly and even risk economic growth. Mr Carney points out, however, that, at least so far as mortgages go, the rate rise may not have such a harmful effect. That’s because more than half of outstanding mortgages are on fixed rate terms and recent new mortgages have been subject to stringent affordability tests that ensure borrowers can face higher interest charges. Nonetheless the Bank recognises that 2.5% of households will struggle with rising rates. As for savers, few believe the rate rise will have any effect at all. After last November’s rise of 0.25% in the Bank’s base rate, the average increase in savings rates offered by banks and building societies was a mere 0.09%. In defence of these banks, Mr Carney pointed out that when interest rates were slashed in the past, the banks didn’t reduce their savings rates to the same extent so perhaps should not be expected to raise them at the same rate either. Nonetheless he ‘expected’ them to lift savings rates and was relying on competition to make sure they did. What all this amounts to is the realisation that we are likely to continue to live with low interest rates for as far as the eye can see. Critics will say that this will do nothing to moderate our propensity to keep on borrowing and to live beyond our means in a way that is ultimately unsustainable. Equally, there will be no incentive to start saving again. From the other point of view, however, raising interest rates now is a dangerous risk. It’s not just that poor households dependent on borrowing to keep their heads above water will be hit by increased interest charges. Much more importantly, they say, a period of increasing uncertainty is exactly the wrong time to increase rates. With Brexit negotiations now thought more likely than at any time recently to risk ending up with no deal and potentially massive disruption to the economy, now is not the time, critics say, to add further burdens to the economy by raising interest rates, however modestly. Indeed Mr Carney himself told me that the risk of Brexit ending up in ‘No deal by accident’ (to use the phrase of the Foreign Secretary, Jeremy Hunt) was now ‘uncomfortably high’. So what’s your view? Was the Bank right or not to raise interest rates? How damaging do you think higher interest charges could be to those households already heavily in debt? Do you fear the consequences for your own household finances? And what about savings: will the increase have any effect in encouraging people to save more? Will it encourage you or perhaps you see no need to save? And do you think the Bank should have waited to see what happens in the Brexit negotiations before raising rates? In a nutshell: was it the right move or the wrong one?